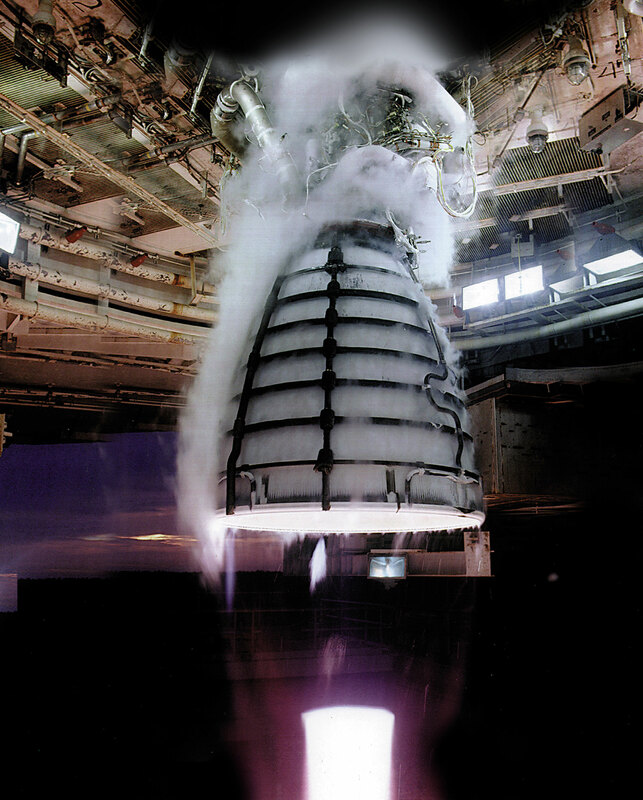 Formerly known as the Space Shuttle Main Engine, the RS-25 accumulated more than one million seconds – or almost 280 hours – of hot fire experience during 135 missions and numerous engine tests like the one pictured here. Four RS-25 engines will power the core stage of NASA’s Space Launch System (SLS) and the engine will go back in the stand for testing this summer at NASA’s Stennis Space Center. This article appeared in the May 2014 issue of RocketSTEM.